My Kids Lab Coat.com is located in beautiful sunny Northwest Florida. We specialize in bringing the best quality Kids Lab Coats and Accessories to our valued customers around the world. Our Mission is to provide you and your kids with the best quality Kids Labcoats, Embroidery and Value available in the Kids Medical Apparel and Doctor Costume Categories. 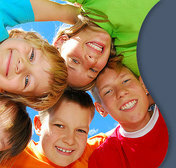 My Kids Lab Coat.com offers the largest selection of Kids Lab Coats anywhere. Our Professional Embroidery Services are second to none and we offer a large selection of embroidery designs ready to be stitched on to your little Doctor or Nurses Coat. Custom embroidered Company or Practice logos are also available for an additional setup charge. Your Privacy is important to us and My Kids Lab Coat.com will never sell, rent or trade your personal information to others.